Everyone can be a reporter with a mobile phone in hand, and everyone is invited to witness events (even those electoral) in real time. The mobile phone really has replaced the car – days when our forefathers would recall drive-in theatres and the little bubbles it used to place them in, are comparable to one watching a show on their mobile phone today. Same bubble, different experience. Speaking of bubbles, mobile phones are viewed as a highly personal means of communication which allow campaigners to bypass mass media in their entirety and push notifications in the form of electoral messages. Our progressively decreasing attention spans serve campaigners well, with influence becoming a lot more achievable. 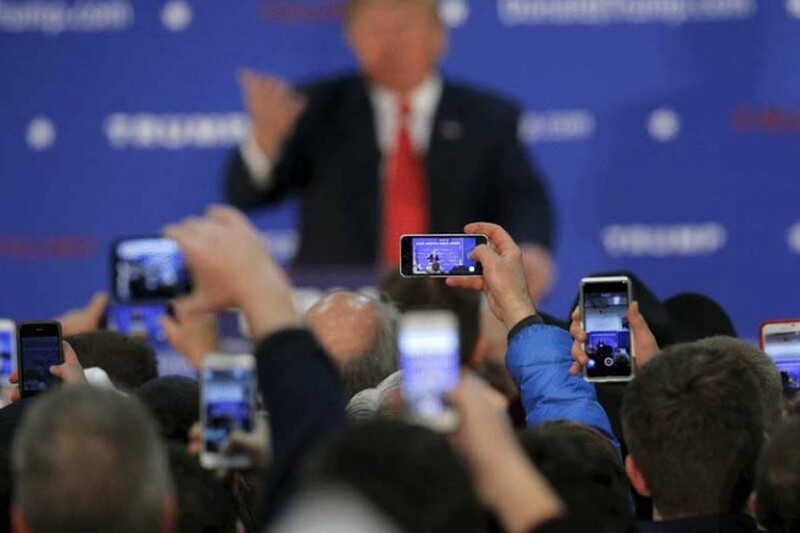 Take the most broadcasted electoral campaign (U.S) for instance – this isn’t the first time we’ve seen mobile technologies being used to mobilise political rallies and efforts, and to assimilate groups of supporters according to their degree of emotions. “At the most basic level, the rise in mobile usage will speed up the entire political process. Voters will have faster and more frequent access to campaign news and information, and campaigns will have better access to voters and their data.” – Politico. What all diligent campaign managers seek to achieve is an octopus-like grip on a whole spectrum of social media sites i.e. Twitter, Instagram, and Facebook. Is it convenient or controversial that mobile advertising has the ability to procure data on individuals and serve them customised ads? We think controversy here is trivial, seeing as human beings (at least most of us) are raised not to become sheep. While data collection has the potential to place particular emphasis on certain issues more than others according to the demographic at hand (with the help of geolocation), there really isn’t any worry of toeing the line between advertising and spam. Most of us have it in us to put our foot down on annoying strategies employed by campaign managers in our continuous bid to streamline our awareness feeds. “I absolutely see a major financial opportunity in civic tech” – Hunter Scarborough, founder of Voter. With the political inclinations of the mobile phone demographic in the bag, it seems like everyone savvy enough to be on the internet can serve as valuable commodities for corporations and presidential candidates alike. The two other valuable commodities besides big data during presidential campaigns, time and money are key to campaigns being run round the clock, and with mobile technology being the key benefactor. 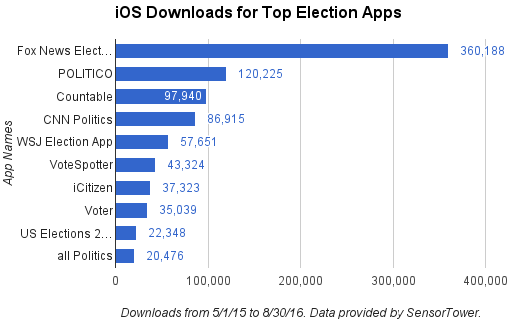 “Campaigns must reach voters where they are, and today that’s on their mobile devices.” – Digitalist Magazine. The winner of the 2012 U.S presidential campaign was Obama’s expert use of mobile media, and it will surely pan out the same way this year as we’ve developed stronger attachments to our mobile phones – campaigns can be won with taps and swipes, rest assured.